Come for an evening of fresh and fascinating theatre. 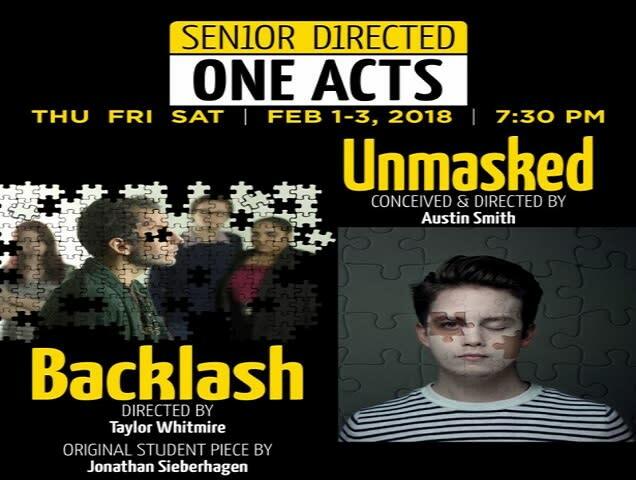 Two of the senior theatre majors will take over the creation and direction of two one-act plays. Come see the insights of these young artists.